COLORADO SPRINGS — State-owned company Space Norway is in negotiations for a two-satellite arctic broadband system that would have military and civil applications, a Norwegian Ministry of Defence official said April 10. Nilsson said the Norwegian MoD concluded that a pure military satellite would be too expensive an undertaking for the country, whose population numbers about 5.3 million in an area slightly larger than New Mexico. 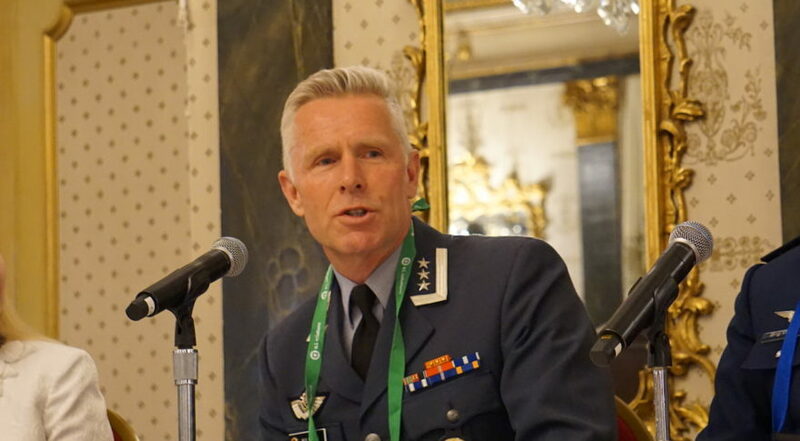 To keep costs low, the ASBM constellation will carry military payloads for the U.S. Defense Department and the Norwegian MoD, and commercial capacity for Space Norway, he said. In an interview, Nilsson said those three partners are finalizing the cost sharing structure so the program can proceed. “When we see the bill for what the project will cost, not just for investment but for the 15-year lifespan, then we at least have established the principles of how we are going to share the cost,” he said. Space Norway is leading satellite procurement talks with manufacturers, Nilsson said. The competition initially included European and American manufacturers, but has narrowed to two U.S. vendors, he said. Nilsson said the goal is to have both satellites in orbit and operational by the second half of 2023. Space Norway received approval from the U.S. Federal Communications Commission in 2017 to provide communications services in the United States. The satellites, Space Norway told the FCC, would have elliptical orbits that reach about 43,500 kilometers at their highest and roughly 8,100 kilometers at their lowest, with an inclination of 63.4 degrees. That orbit would enable more direct coverage of arctic latitudes compared to geosynchronous satellites that orbit at the equator 36,000 kilometers above the Earth. Though Space Norway is a state-run company, Nilsson said the Norwegian MoD may still purchase commercial Ka-band capacity from it for military use on top of the X-band payload the MoD will have on the satellites. How much of each kind of capacity the satellites will carry is still being determined, he said. Nilsson said the ASBM system will be interoperable with the U.S. government’s Wideband Global Satcom system of 10 satellites. At present, the Norwegian MoD does not have plans to provide ASBM capacity as part of the European Union’s Govsatcom initiative, he said. Govsatcom is an initiative to pool satellite capacity from member states, making satcom available to nations that lack their own satellites. Norway is not a member of the European Union. Additionally, Nilsson said all of ASBM’s X-band capacity is already assigned, leaving none to share.